If you want a skin care system that's all about results, look no further than American brand, Dermalogica. If you want your skin care to come with fancy jars and famous spokesmodels, you’ll have to look elsewhere! 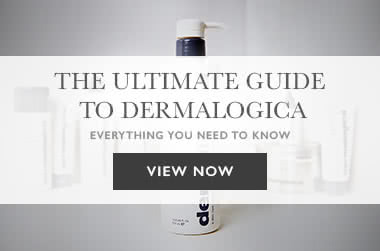 Developed by the International Dermal Institute, Dermalogica is known around the globe as the "professionals' choice" when it comes to skincare. They developed the concept of skin health and work with the International Dermal Institute to continually innovate and educate therapists and customers. Every Dermalogica stockist must have a beauty therapist on staff to give an expert Face Mapping skin prescription, so that you can get results for your particular skin type or concern - whether it be ageing to acne, pigmentation, sensitivity, rosacea and dehydration. With a focus on fragrance-free simple skin solutions, the Dermalogica range aims to cater for all skin types and contains capsule ranges for specific skin concerns. Dermalogica’s story started in 1986 in the USA, when British skin therapist Jane Wurwand felt that the skin and body therapy education was undeveloped. Jane started The International Dermal Institute (IDI) in Marina del Rey, California. Since its conception, the Dermalogica range has grown to include a huge array of products that are free of common irritants and ingredients such as lanolin, SD alcohol, mineral oil and fragrances. Dermalogica’s best-selling products include: Special Cleansing Gel, Daily Microfoliant and the Multivitamin Power Firm.